Matt Carey shares his experience of child sexual abuse in a new report and film, Numbing The Pain, produced by One in Four - a specialist charity supporting people who have experienced child sexual abuse and trauma. Evidence shows as many as one in four adults have experienced some form of sexual abuse before the age of 18. Based around personal accounts written by Matt Carey, a recovering alcoholic, and other survivors’, Numbing the Pain: Survivors’ voices of childhood sexual abuse and addiction, highlights sexual abuse as an underlying trauma for many people who experience substance abuse addiction. how drugs and alcohol can be used to numb the pain of childhood abuse. I am proud to have participated in the groundbreaking report and film called Numbing The Pain: Survivors’ voices of childhood sexual abuse and addiction, produced by the charity One in Four. One In Four support survivors to work through the trauma of abuse, helping them to transform and rebuild their lives. They’re a specialist charity with a dedicated team of experts and counsellors with many years of knowledge, experience and expertise in working with survivors of sexual abuse and violence, and particularly child sexual abuse. You can also find a comprehensive list of people and organisations who help and support survivors of child sexual abuse on my resource page. One in Four is calling for addiction services to make the link between childhood sexual abuse as an underlying trauma in addiction and to consider how they are supporting and signposting survivors to appropriate support, once recovered from their addiction. The Charity is also calling on services to anonymously record disclosures of childhood sexual abuse for collation. 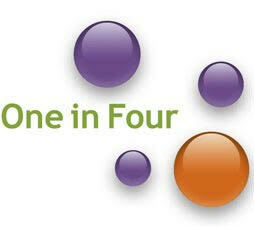 For more information, please email the team at One In Four.